Last weekend, Carnival Cruise Line had a party on board their Carnival Magic ship docked in Miami. They announced a partnership with Lakeland's Brew Hub to keg and can their beers for distribution on all of their ships! 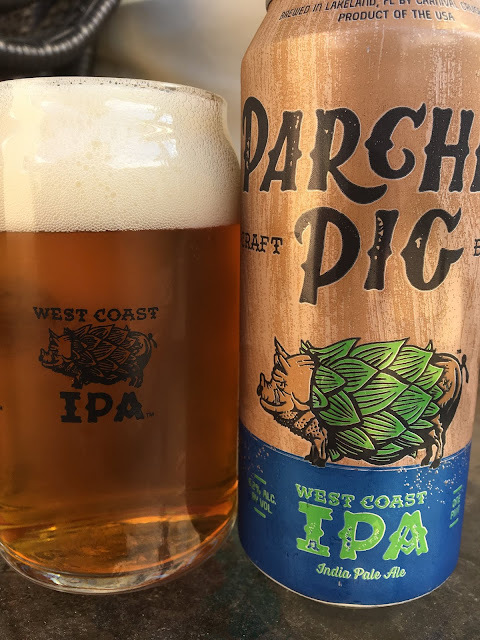 We got to try the kegged and canned versions, and Parched Pig West Coast IPA was easily my favorite. I brought one pounder can home with me to check out! 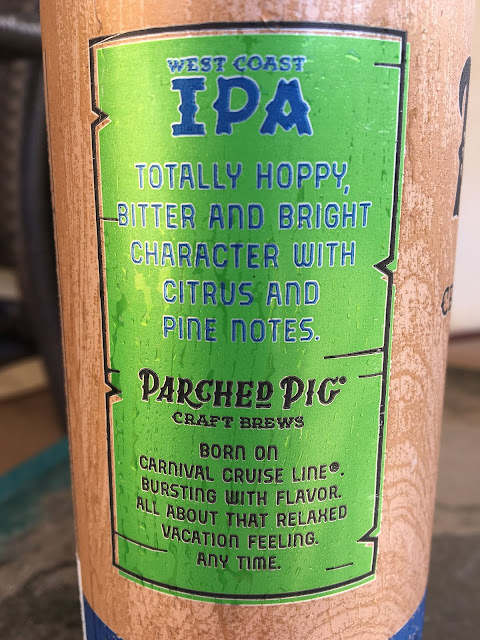 Canned 02/20/2019 Drink 03/17/2019. 6.2% alcohol. I had several, including the one above. Terrific beer! Piney aroma with citrus and tangerines, nicely hoppy. Lots of pine and citrus flavors from the start, nicely bitter. Spicy with a really nice body. Lots of flavor, lived up to its "West Coast" billing! Not sure I'd book a cruise to drink it, but if you're on board, seek it out!